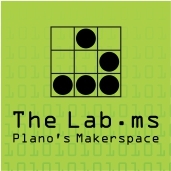 Welcome to the Lab.ms – Plano’s Makerspace! We are a non-profit, community-driven space where people can collaborate on technologically-oriented projects using specialized equipment with other humans. We’re so glad you’re here! Click around to learn a little more about us, check out our calendar, come and visit the physical space. What’s your passion? March’s Membership Meeting Date has been moved to the 19th due to PISD being on Spring Break during our usual 2nd Tuesdays. The Shop is officially open! All persons are required to sign a wavier before entering the shop, including guests/non-members. We need Area Hosts! TheLab.ms is growing! We need Area Hosts to help maintain different areas in the makerspace. Interested? Please contact Leadership!